In March 2011, PartyGaming and sports betting giant bwin merged to create bwin.party Digital Entertainment, the world’s largest publicly listed gaming company. 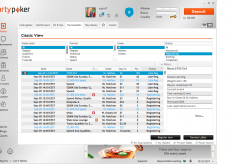 In September 2013, partypoker launched a new "social" poker software that incorporates a number of features designed to attract new and casual players. 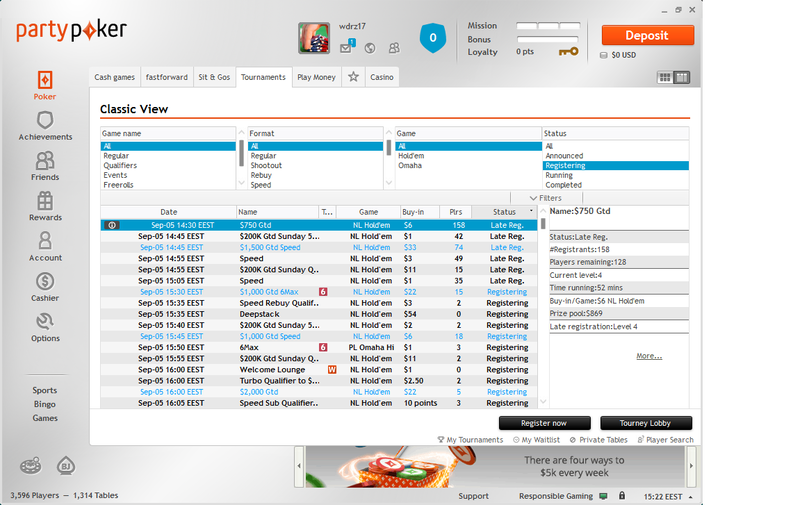 These include player achievements and the ability to easily see what your partypoker friends have recently been up to. 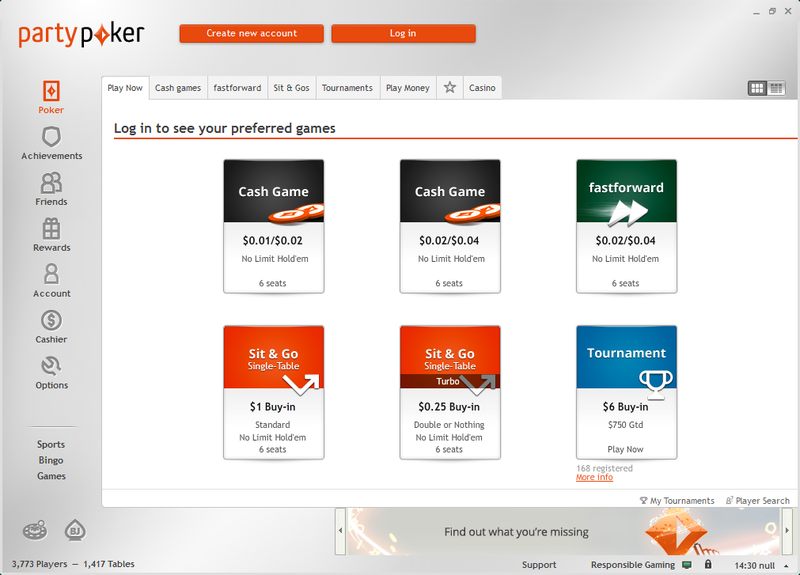 partypoker offers numerous bonuses and promotions to all the players who choose to open their account through PokerNetwork. In order to be eligible for all the PokerNetwork-exclusive offers and be awarded with the welcome bonus up to $500 described below, all you need to do is to sign up for an account by clicking on one of the links on this page and use PNCOM as your bonus code. Download partypoker via PokerNetwork, make your first-ever real money deposit using the bonus code 'PNCOM', and enjoy a 100% match up to $500 first deposit bonus. The bonus is released in 10 chunks, with each chunk being released when you earn the required points. You have 120 days to clear the full bonus. The bonus clears at a rate of $1 per 8 points earned, and you earn 2 points for every $1 you rake or spend on tournament fees. Each $1 you generate in rake or tournament fees gives you two points; the more points you earn during a calendar month, the higher up the VIP ladder you climb. 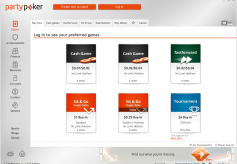 You can exchange your points for cash, bonuses or items from the extensive partypoker store. Larger cash amounts and bonuses are only available at higher VIP levels, while items in the store are much cheaper if you progress to a higher VIP level. Regardless of what you prefer to play, partypoker has you covered. With cash games running from $0.01/$0.02 and increasing up to $5/$10, you will always find a game to suit your bankroll and skill levels. Partypoker's tournament schedule includes plenty of freeroll events that run together with tournaments with buy-ins that range from as low as $0.10 and go all the way up to the world-famous weekly $500 High Roller event. Partypoker is home to fastforward poker, its interpretation of the "fast-fold" poker variant. Should you experience a problem while playing at partypoker, you can contact the room's support team via email or through the live chat. The poker room also offers an extensive FAQ guide. 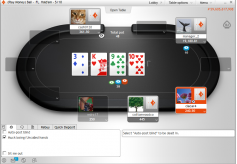 Qualify for the Grand Prix Poker Tour for $0.01!